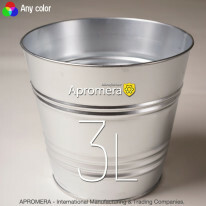 Our company produces and sells Galvanised Metal Pot Buckets available in 5 to 15 – litre capacity. 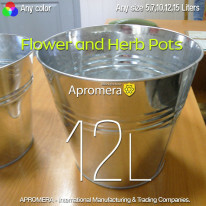 They are made from galvanized 0.35-0,50-mm thickness steel and come as large and small, coloured and decorative. Our products are perfect for indoor and outdoor use. The material is weather resistant. Apart from its practical use the Coloured Metal Pot Bucket makes the ideal decoration for offices, classrooms, reception-desks and lounges. They are great for the house exterior like terraces and gazebos. If necessary, you can always give them a new coat of paint. Add some comfort to your living space, each plant deserves its own cozy home. • They are less prone to breaking / cracking if dropped. • They are not liable to be knocked over. 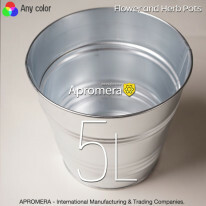 • They are easy to wash.
How to choose a Metal Pot? • Classical low-key articles of neutral or pastel colors only emphasize the beauty of plants, but also provide for the consistent growth and flowering without any tricks. • Bright original items will become the centre of attention. However, when you create compositions of ornamental not flowering plants bright containers can add some character to the green of the plants. 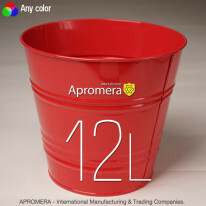 • One-colour items will make your interior stylish and help to avoid the colour cacophony. 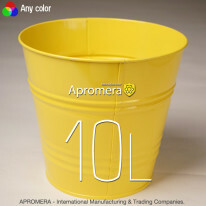 However, you should remember that a selection of one-colour pots can be monotonous and boring. • the best possible pot size must match the size of the root system with a small gap of 2-4 cm on both sides (the slower the plant growth, the less the required gap should be). 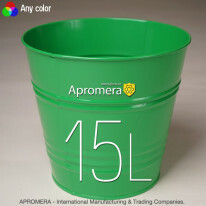 • Select the shape according to the type of ornamental plants: deep pots are suitable for ficuses, palms and other woody plants, low models are appropriate for planting flowers with tuberous or bulbous root system. Terms of delivery are discussed individually with each client. All details are available here. 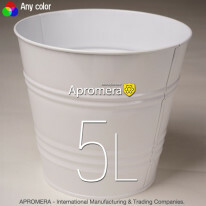 We will complete the order promptly and inform you about the readiness for shipment.